Photo triage is the process of grouping similar photos of a large collection and finally selecting the most preferred one in each group. Especially the selection of “the” best photo of a group is challenging as the relevant image features are not obvious to identify and heavily scene-dependent. The goal of this work is to explore and examine methods that can be used to automatically select the best photo in a group of similar ones. The exact task description needs to be defined beforehand, tackling a special sub-domain of images is also possible (e.g. for images with faces, smile and shut eye detection can be used ) . Chang, H., Yu, F., Wang, J., Ashley, D., Finkelstein, A. 2016. Automatic Triage for a Photo Series. ACM Trans. Graph. 35, 4, Article 148 (July 2016), 10 pages. 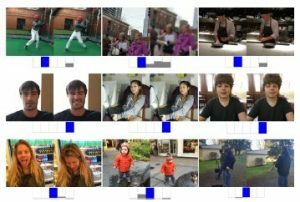 B. Wang, N. Vesdapunt, U. Sinha, and L. Zhang, Real-time Burst Photo Selection Using a Light-Head Adversarial Network, arXiv preprint arXiv:1803.07212, 2018.